Thank you, Dato' Azlan for making me feel very welcomed this morning. I am most happy to be here, to launch "Labuan IBFC Wealth Management Year 2013". Labuan IBFC has grown from strength to strength. In the last two years, from 2010 to 2012, the total value of assets for banking and leasing sectors, for example, as well as insurance premiums collected by Labuan IBFC licensed institutions, in aggregate grew to USD76.2 billion or RM236.3 billion.1 This represents an impressive average annual growth of 13.5%. This double-digit growth was achieved because Labuan IBFC's has laws and regulations that are robust yet facilitative. The growth was achieved because of Labuan IBFC's innovative products and efficient services. I am proud that, last year, after an extensive study, Asian Development Bank's recommended LIBFC Foundation as the holding entity to domicile the USD485 million ASEAN Infrastructure Fund in Labuan. This recommendation was unanimously accepted by all of the ASEAN Ministers of Finance. This is a major endorsement for Labuan IBFC's in its bid to position itself as a regional centre to domicile wealth management structures. Under the Capital Market Masterplan 2020, we have identified investment management as one of the three Strategic Initiatives for the development of our capital market. In pursuant of this objective, we need to facilitate the introduction of a broad range of capital market products – products to cater for the various risk-return profiles. We also need to increase our efforts to establish a vibrant and competitive investment management industry. In this regard, the designation of 2013 as Labuan IBFC's wealth management year is timely. This initiative serves to heighten the domestic and regional markets' awareness of Labuan IBFC's offerings. This Wealth Management Year 2013 designation will serve as an effective platform to showcase Labuan IBFC's competitive advantages in the wealth management arena. These remarkable numbers are a strong vote of confidence in the continued health and sustainability of our economic growth. Indeed, these estimates are a strong endorsement of the present pro-growth, pro-business economic policies that we have in place for our country. More than twenty years ago, amidst great market skepticism, we initiated the development of the sukuk industry. We worked hard to establish a conducive regulatory environment. We worked hard to build the required talent to drive the industry. We did all this because we believe in what we can do. We did all this because we believe what this new industry can bring to our country and to our economy. Some ten years later, for the first time, the world stood up and paid attention to our domestic sukuk industry. 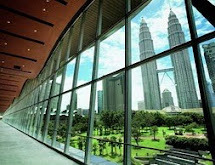 The Government of Malaysia then, in 2002, successfully sold a USD600.0 million global sovereign sukuk – a world's first. Let us not forget, ladies and gentlemen, that this landmark paper was issued out of Labuan IBFC. The rest, as they say, is history. 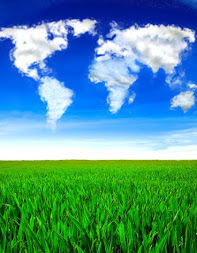 Sukuks are now accepted as a viable alternative to the traditional conventional bonds the world over. Going forward, I am confident that the outstanding success that we achieved with our sukuk industry will be replicated in the syariah-compliant investment management sector. We are not new to this Islamic investment management business. There are already several long-standing several syariah-compliant savings and investment institutions – notably our Lembaga Tabung Haji, the Haj Pilgrimage Fund, which was established 43 years ago, in 1969. I believe the knowledge and capacity that we have built over the years – the success that we have had in syariah-compliant investment in the public institutional space – can be replicated in the private wealth management industry. 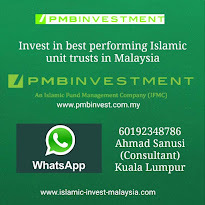 There is no better time than now for us to earnestly build our Islamic private wealth management eco-system, to serve both the domestic and regional markets. 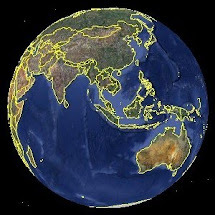 Southeast Asia's rapid and sustainable economic growth has resulted in large numbers of very wealthy Muslims. Syariah-compliant wealth management would also appeal to the that segment of the market that wants ethical investment. 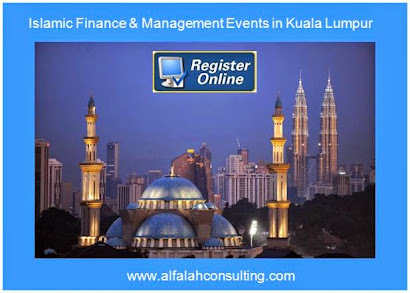 Malaysia's global brand is now synonymous with our capabilities in Islamic finance. Let us extend this unique selling proposition of ours – our world-class capabilities in Islamic finance – to the rapidly expanding Asian private wealth management industry. Let us position Islamic wealth management as a viable product in the range of our financial services offerings. Labuan IBFC has the capacity to effectively support this nation-building agenda, fulfilling its complimentary role to the development of the on-shore financial services industry. In this regard, I look forward to hear more of Labuan IBFC's future developments and successes. On that note, I thank Labuan Financial Services Authority for its kind invitation for me to be with all of you today. My thanks too to the Labuan IBFC financial services community for all of its support and efforts for making Labuan IBFC to what it is today. Last but not least, I wish all of the participants to the following Wealth Management Seminar my very best wishes. Thank you.